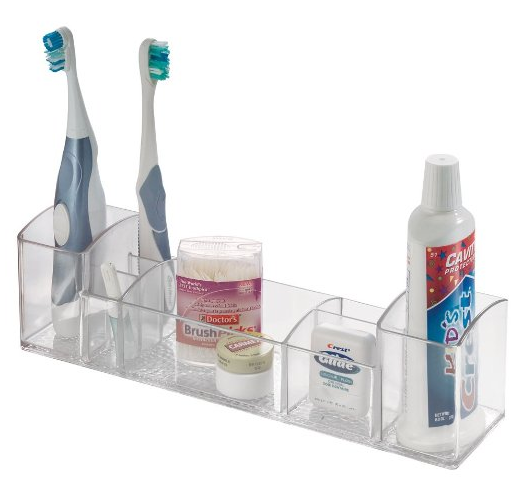 Plastic Bathroom Countertop Organizer Only $7.99! You are here: Home / Great Deals / Amazon Deals / Plastic Bathroom Countertop Organizer Only $7.99! Have you been looking for a way to organize your bathroom counter? You’re in luck! Right now, you can get this Plastic Bathroom Countertop Organizer for just $7.99! And, shipping is FREE with Amazon Prime or Super Saver Shipping! This is also great for dorm rooms or for organizing your desk!